Inspection Blog — Details Home Inspections, LLC. If you are in the market for a new home, it is likely true that crawlspace and attic inspections are not even on your radar. Details Home Inspections is excited for you to start your new life in a new space, which is why we pay extra attention to these areas, so you don't have to. Your trusted home inspectors in Vancouver WA want to make sure that the attic and crawlspace are not overlooked because these areas often reflect the history of the home. They can provide clues to serious problems underneath the surface that might not be disclosed or even known by the current owner of the home. Supporting Truss or Rafter Damage: A roof inspection won't necessarily show the defects within the structure of the attic. 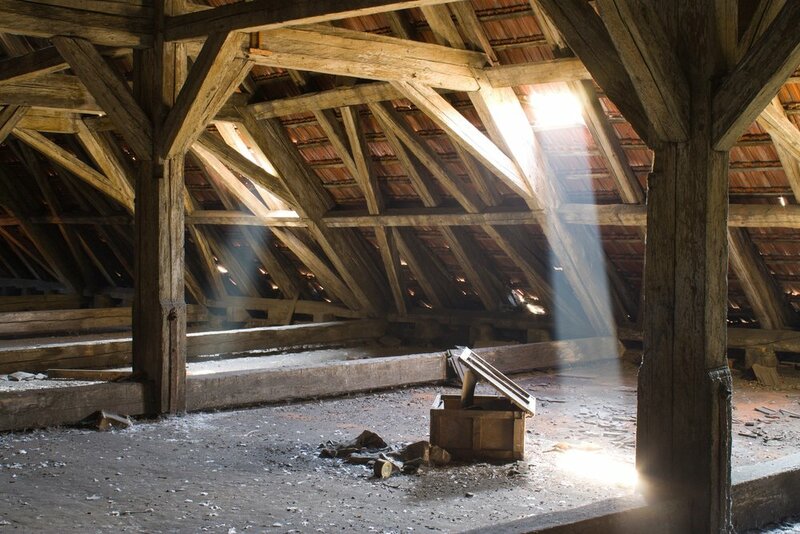 The roof might look secure and sound, but inside the attic, it is possible to find broken trusses or rafters, showing the truth behind its condition. Previous Fire Damage Noted in Attic Inspection: In some cases, the inspector will find that that the rafters are a color other than natural wood, which may tell you that the home sustained a fire at some point. In the case where the wood is black or scorched, a major fire likely occurred in the home. Adequate or Inadequate Attic Insulation: Your inspector may find that your new home is inadequately insulated. If this is the case, it could lead to higher heating and cooling costs. This might be a major factor in whether or not you want to purchase the home. Alternately, he may find that the attic is well insulated and that is also important information to have at hand when making these decisions. Water Damage: Having water damage in your attic can be expensive to fix. Since water flows from the top down, inspectors will look for staining on the wood supports or on the walls. This would be evidence that water has leaked or is currently leaking through the roof. Chimney Access to the Attic: Since you cannot inspect the interior of the chimney from the attic, your inspector will make a note regarding whether or not the structure itself is solid. To determine if the chimney is deteriorating from the weather, your inspector will look for cracks in the bricks and also whether or not the mortar has started to crumble. Squirrel, Raccoon, and Rodent Damage in the Attic: If your home is infested with squirrels, raccoons, or rodents, the first sign will be the telltale evidence of tiny poop pellets left behind. These animals will often enter attics through the eaves or loose boards and can cause considerable damage to a home. These are just some of the things that a good home inspector will look for when inspecting your attic and crawlspace, and the things they are looking for in these areas often go hand in hand. At Details Home Inspections, we know that every home is different, and also to expect the unexpected. Our main goal is to provide you with all of the knowledge you need to make a well-informed decision about purchasing a new home. Check us out on Facebook or contact us today to find out what to expect from your home inspectors in Vancouver WA and let us put your mind at ease! At Details Home Inspections, one of our goals is educating homeowners. The city of Camas Washington has an interesting and unique approach to sewage/waste management. We get questions about this a lot and you should know that if you live in Camas Washington your home is tied into the City of Camas sewer main as a part of the municipal wastewater treatment system. As your professional home inspectors in Clark County WA, we would like to share some important information about the Camas WA systems so that you can come to understand what this means to you and how it might impact your home buying or home selling process. 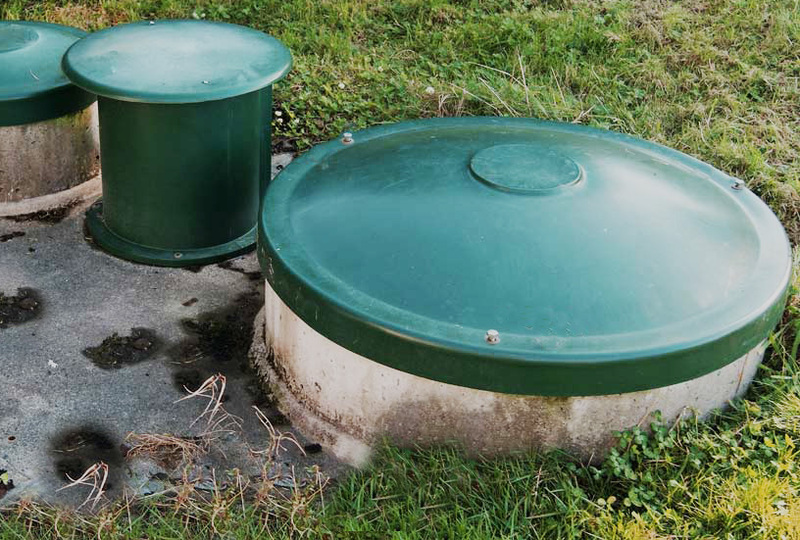 Over time, solids collect in the septic tank and are pumped out by the City of Camas every 6-10 years. In this process, the wastewater is filtered and then pumped out to the wastewater system. You can reduce waste and protect the wastewater treatment system, your home plumbing systems, and even the environment by avoiding flushing items that do not degrade easily. A STEP System- Septic Tank Effluent Pumping System: This is your sanitary sewage system which pumps the fluids from a collection tank into the pressurized mainlines using a high head pump, alarm system, and a control panel. A STEF System- Septic Tank Effluent Filter System: This system works by siphoning the waste instead of pumping it using a high-level alarm and an electrical panel. How do you know which system is on your property? A professional home inspector can help you identify which system has been installed on your property, or a property which you're considering purchasing. We can also recommend a suitable maintenance plan and show you how to turn off the alarm. If the alarm goes off, this generally means the system needs to be serviced by the city. Who claims ownership of the STEP/STEF system on your property? Once your installed STEP/STEF system has been inspected and accepted, the City of Camas will actually be the owner of all components of it. The only part of the system you own is the sewer line from your residence to the tank. With the city being the owner of the system, they are also responsible for all maintenance of it and will need to be able to have access to it at all times. What happens if there is damage to the STEP/STEF system? While the city claims ownership to the system, if there is damage that is due to negligence, gross negligence, or intentional acts, you as the owner will be responsible. This includes any clogging that occurs because of improper use, as stated in the City of Camas Ordinance 13.62.070. Can I landscape over my STEP/STEF tank? The main issue with landscaping is that the green riser lids cannot be covered up by any landscaping you choose to do on the property. This is because these lids need to be accessible at all times to ensure that the city can access it in a timely manner in the event of emergency or maintenance call. At Details Home Inspections, we can help you Identify the type of system you have in your current home or in a home you are planning to purchase. We can also educate you on what the presence of the system means for your life in the home and how to protect the system from damage due to improper use. Together we can come up with a maintenance plan that will work for your family. Contact us today to schedule an inspection with your trusted home inspectors in Clark County WA or check out our Facebook page for more tips for loving your home. At Details Home Inspections, we love seeing 3 things. The first is our customers having well-built homes that give them peace of mind. The second is energy efficiency so that these homes are functioning in the best possible manner. The third is watching our customers save tons of money with their energy efficiency by using rebates, incentives, and loan programs. These rebates, incentives and low-interest loan programs help create a better and more efficient community while also reducing cost to consumers. Utilizing these programs can also help you reduce the amount of power you need to buy, allowing you to use only the energy you need and avoid wasteful spending. The Solar Energy Program: For those looking to invest in solar technology, loans are available to assist you. Whether you are looking to install rooftop solar systems or solar water heaters, they can help you find a contractor within their network and help you through the entire process to ensure you are completely happy with your new system. The Heat Pump Program: This program offers a $750 rebate that helps pay for an upgrade to your existing system. The idea is to help residents upgrade to a heating and cooling system that is ductless, thereby using only a fraction of the electricity while offering an even more comforting environment. A Smart Thermostat: The use of one of these nifty gadgets can help reduce energy waste while keeping your home comfortable for your family. If you are a current customer with Clark Public Utilities and are heating your home with either an electric furnace or a heat pump, you might qualify for a $50 smart thermostat rebate. If you have a natural gas furnace instead, you still could qualify for a rebate through the Energy Trust. The Weatherization Program: If you are looking into replacing your windows, insulating your attic or walls, air sealing, duct sealing, or other weatherization projects, you may qualify for a loan of up to $15,000 at just 3.5% interest. Manufactured homes or homes that are heated electrically are eligible for the program, but all eligibility is based on credit approval. The Heat Pump Water Heater Program: If you are looking for an efficient alternative to heat your water, you can currently take advantage of a $150 rebate for qualifying Tier 1 heat pump water heaters, and a $300 rebate for qualifying Tier 2 and 3 heat pump water heaters. Multi-family Property Programs: For owners of electrically heated multi-family buildings (5 units or more), Clark Public Utilities offers a variety of rebates for the weatherization of these structures. For owners of multi-family structures with four or fewer units, they can apply for the PUD's single-family home weatherization rebates. These rebates may not last forever, so now is a great time to take advantage of programs which will help you improve your home while saving some serious cash. Contact us today at Details Home Inspections or check out our Facebook page to learn more about our professional home inspections in Vancouver WA. We would be happy to discuss some of the upgrades that may help you create a more comfortable, efficient, and safe home for you and your family!